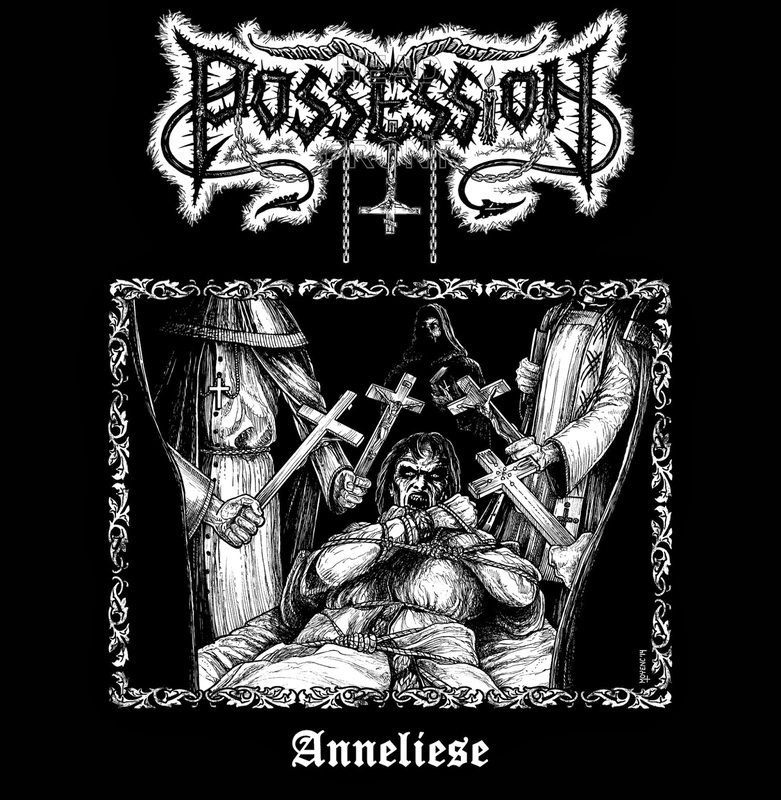 There was a pretty obscure Kansas death metal band called Possession, and the logo's slightly similar, so when I first saw the promo for this 7" in my inbox I thought they might have reformed. Not the case at all: this is actually a Belgian band of a more infernal pedigree, performing a primal concoction of black and death metal which hearkens back to the age of bands like Hellhammer, Bathory, Venom and other diabolics of the early to mid 80s who were satisfied with committing the most gruesome and unholy works of simplified aggression to tape. How successful these guys are? I can't exactly form a firm opinion of just the two tunes on this, but if you're really into the basest of metal tunes, evil cover artwork and a 'true' sensibility to what they're doing, this quartet might not disappoint. Personally, I found the stuff pretty crude and inoffensive, with a strong rock ethic to the riffing of the title track which is admittedly sort of bland when you consider all the raving, theatrical rasps of the front man and how much better they would have been served with something more interesting in structure. The drums are very slappy sounding, the bass thick and oozing with distortion, the murk of the rhythm chords unbreakable, but honestly the only thing here that was distracting me was the reverb-soaked ranting accompanied by descending back-up howls that feel like gargoyles free-jumping off burning cathedrals. 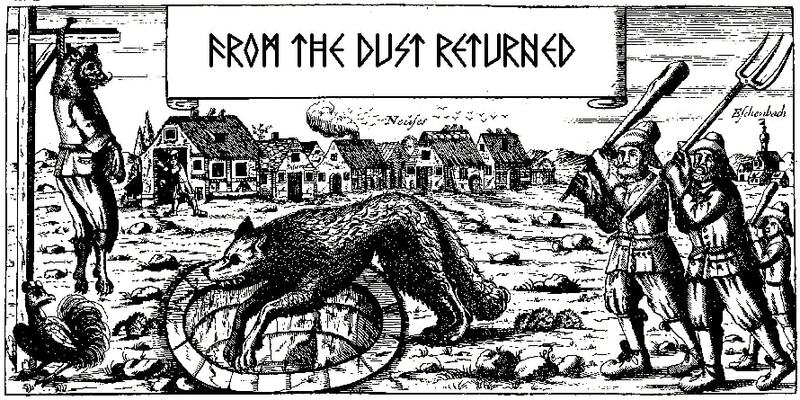 Unfortunately, when a rock creature strikes the ground at terminal velocity, it's likely to break up into pieces, and there just wasn't enough to this particular song to keep me wanting to go back to it. The B-side "Apparition" was a little more to my liking, with evil wailing guitars, more morbid chords and even a breakout blast-beat section, so there was just an innate if minimal level of variation which kept my imagination better occupied, and even if the mid-paced rhythm guitars were comparable to the first tune, they are simply more menacing. So that leads me to believe that, while the Anneliese EP itself might not be a prime showing of the band's talent, given a longer record they will likely have the chance to shine between the faster and slower-rock material. With a vocalist like this, I think putting some more nuance into the guitars, with more compelling or eerie note choices would go a very long way towards making Possession one of the most goddamned evil sounding acts on the planet. But they're not quite there yet...which is fine, they've only been around a few years and definitely have the potential to pull in that proto-extreme metal crowd who worship a time when black, death and thrash metal were often woven into a singular, sinister package. Those into bands like Bones, Usurper, Venom, Von, Darkthrone and comparable sounds might want to give these guys a listen, but I feel like they've got better in them for the future.